GREAT VALUE! 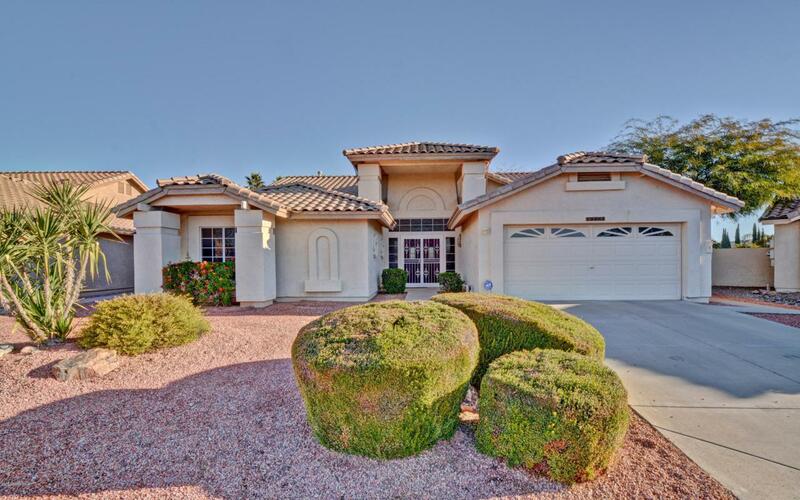 YOU MUST SEE THIS LOVELY PINNACLE PEAK MODEL WITH 3 BEDROOMS, 2.5 BATHS, 2 CAR GARAGE WITH OVER 2300 SQ. 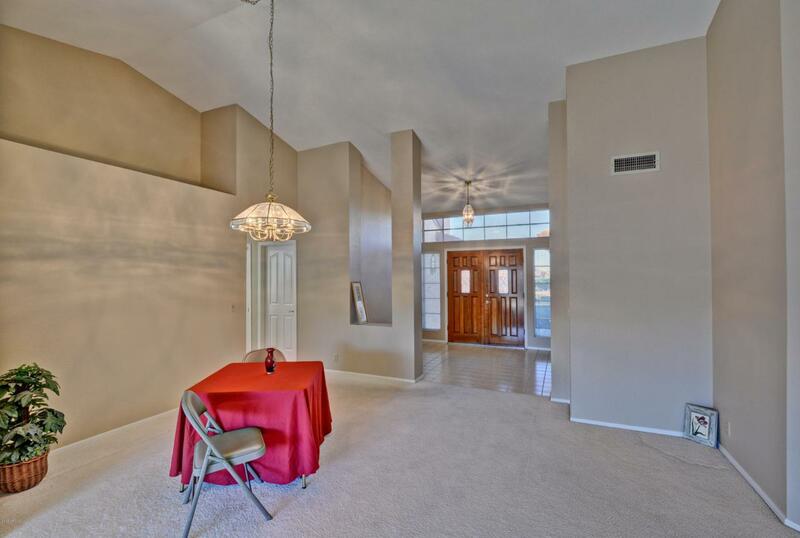 FT., WITH VAULTED CEILINGS. YOU WILL LOVE THE FRONT ENTRANCE WITH ITS DOUBLE DOORS AND A SECURITY DOOR SURROUNDED WITH GLASS TO BRING NATURAL LIGHT INTO YOUR FRONT ENTRY. 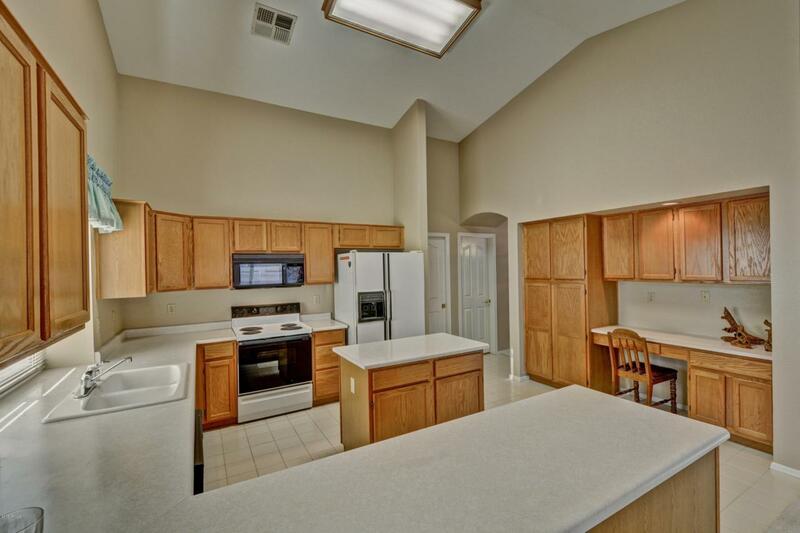 WONDERFUL FLOOR PLAN WITH FORMAL DINING RIGHT OFF YOUR LARGE LIVING ROOM THAT IS ALSO OPEN TO YOUR FAMILY ROOM, BREAKFAST AREA AND INTO YOUR LARGE KITCHEN WITH LOTS OF CABINETS, KITCHEN ISLAND, PANTRY & DESK AREA. 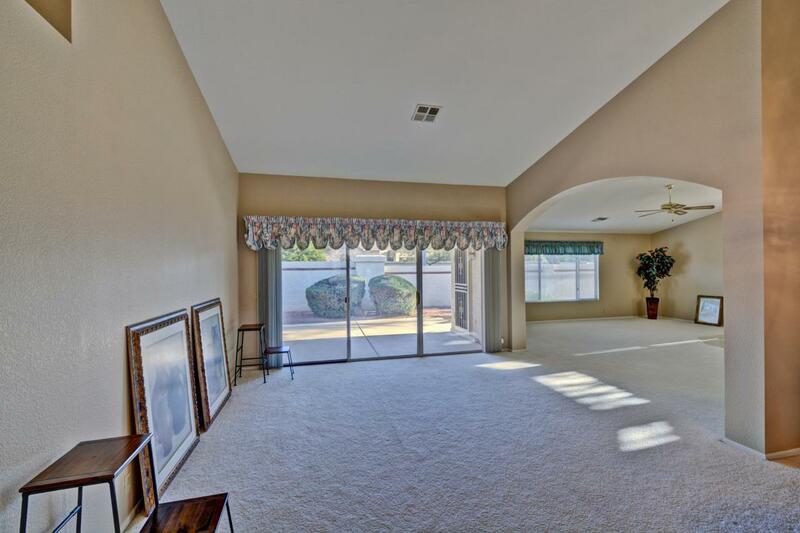 GREAT HOME FOR ENTERTAINING AND EASY ACCESS TO YOUR BACK PARTIALLY COVERED PATIO FROM THE LIVING ROOM & FAMILY ROOM. VERY NICE LARGE MASTER BEDROOM THAT OPENS INTO YOUR WONDERFUL MASTER BATH WITH DOUBLE SINKS, JET TUB, SHOWER AND SEPARATE TOILET ROOM AND WALK-IN CLOSET. PLEASE SOME SEE!